The upcoming BlackBerry Priv smartphone is really creating a stir at the moment, and it’s fair to say we haven’t seen this much excitement about a new BlackBerry phone for some time. Early leaks about the device suggested it would be up for grabs on all of the big four US carriers, and now the BlackBerry Priv Verizon model looks as though it has made an appearance. Recently we gave information about pre-orders, price, and availability of the BlackBerry Priv for the US, UK, and Canada. However, the model that was currently showing on the official BlackBerry US site was not compatible with Verizon, Sprint or US Cellular, though we imagined that more variants were on the way. While we cannot verify the authenticity of this image it does look promising that a Verizon BlackBerry Priv is on the way. Of course we’ll be keeping an eye out for further evidence and will give you the news when we get it. While we wait for more, you might like to check out an official BlackBerry Priv features video that we shared that makes the phone look very appealing. If you don’t already know what makes the BlackBerry Priv stand out, it has some very impressive specs and a slidout keyboard. The real stand out point is that it will be BlackBerry’s first smartphone to use the Android operating platform, hence the massive amount of interest. 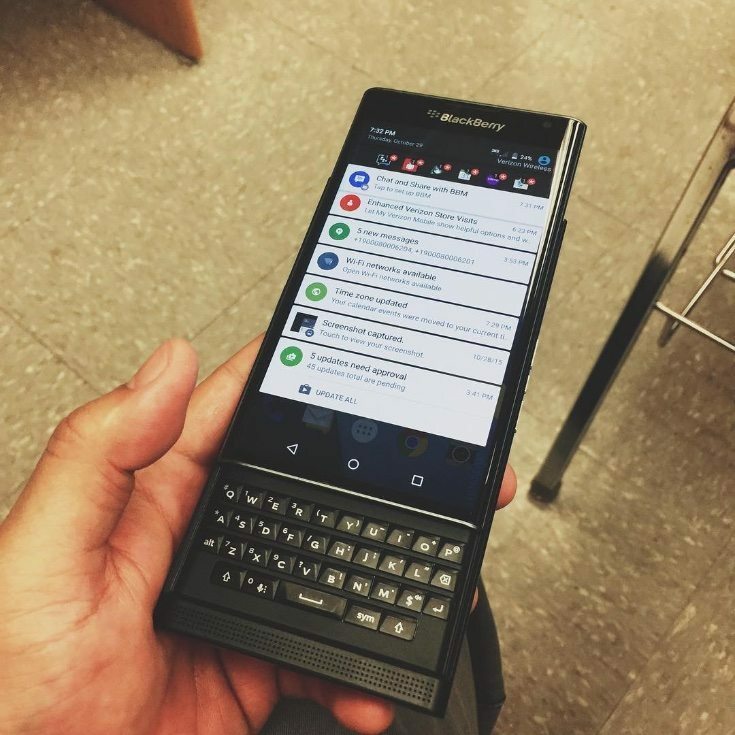 Have you already decided you want the new Priv from BlackBerry? Maybe you are waiting for the BlackBerry Priv Verizon variant and are pleased to hear that the signs are promising?